Baja California Sur is Mexico’s second smallest state. 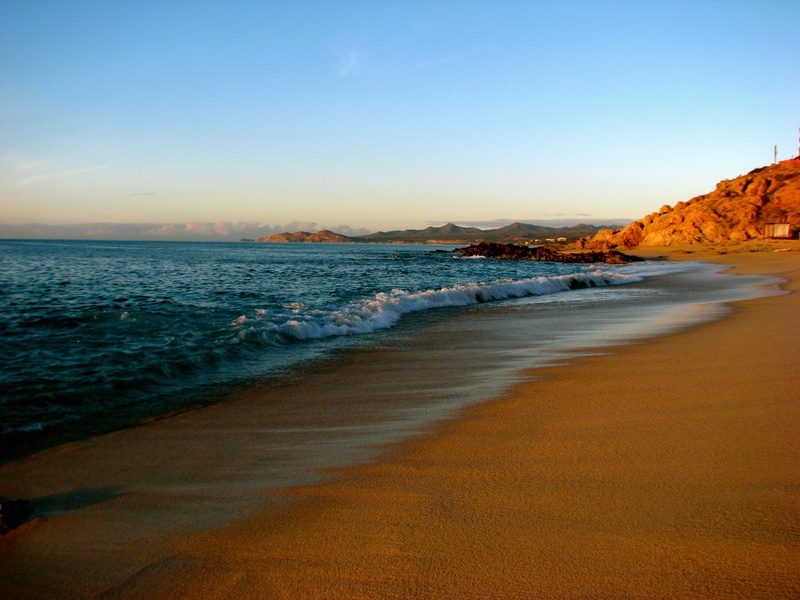 Being a peninsula, Baja is surrounded by water. To the west is the Pacific Ocean, to the east is the Gulf of California, otherwise known as the Sea of Cortez. The capital of Baja California Sur is La Paz, which is nestled into a natural harbour, where surfing conditions are ripe. Cabo San Lucas on the southern-most tip of Baja is the one of the biggest tourist attractions on the peninsula and in Mexico. It attracts thousands of spring breakers each year. With the longest coastline in Mexico, boasting 2230 km of coast and beach, it’s no wonder beaches in Baja California Sur are known for great swimming and surfing. Top rated beaches include Playa del Amor (lover’s beach) and ironically, Divorce Beach. Balandra Beach is also popular and perfect for snorkelling, gazing at eroding limestone sculptures, and surfing. Baja California Sur offers amazing whale watching off the Pacific Coast. Deep sea fishing and scuba diving are other popular activities. Summer temperatures can reach up to 40 degrees so many people flock to the coast on their holidays. Baja California Sur is also home to several scattered islands that provide excellent day trips to boaters and kayakers. The islands are on both the Pacific side and within the Gulf of California. Sandbars and coral reefs scatter both coastlines. While rich in coastlines, beaches and fish, the water quality and swimmability of these beaches ranges. Mining activities have polluted drinking and swimming water with arsenic in some coastal towns. Effluent dumped from resorts directly into the sea has also affected many beaches in La Paz. Lack of regular water quality monitoring and lax enforcement of existing environmental regulations mean swimmers should learn about the health risks from swimming in Baja’s beaches. Swim Guide has water quality information for 75 sites on the Baja Peninsula. Without the efforts of our Swim Guide affiliates in Baja there would be no other up-to-date water quality information available to Baja’s eight million residents and numerous visitors.